On June 8, the Paterson, New Jersey City Council voted to give municipal ID cards to illegal aliens. Under the program, anyone who shows proof they live in Paterson would be eligible, regardless of their immigration status. Paterson Councilman Alex Mendez predicted that thousands of individuals, particularly illegal aliens, would apply to receive the new ID. “You’re going to be surprised how many people need this type of ID in this city,” he said. City officials estimate that it will cost at least $7,000 to produce just 500 of the cards, and doesn’t include the cost of administering the program in its estimate. Though city councilmembers reportedly want recipients to pay $10-$15 per card, the mayor according to other officials, would like the card to be doled out free of charge. FAIR estimates illegal immigration already cost New Jersey taxpayers approximately $3.34 billion in 2010. Making municipal IDs available to illegal aliens will no doubt increase the number of illegal aliens in the city and state as word spreads of the availability of the ID. 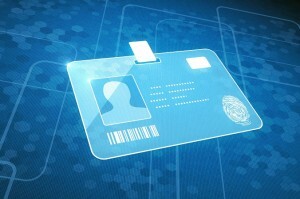 The extent to which the municipal IDs may be used is still unclear. Donna Nelson-Ivy, the director of the Health Department that would be responsible for administering the cards, said it will help the city’s population in accessing social, library, and medical services. Granting municipal ID cards invites fraud and abuse, as local governments are generally ill-equipped to verify the identity of individuals seeking the IDs, and permit the use of easily non-secure documents to demonstrate identity. Moreover, issuing such cards only serves to encourage, rather than discourage, illegal immigration, making local governments accomplices in illegal alien law-breaking. it’s amazing that in the middle of a national security crisis whereby terrorists are pouring into our country, a New Jersey town will offer IDs to illegal aliens. Yes…..the open border pundits do plan their blunders haphazardly…. “some of the community” for “doing too much to protect Trump supporters” at the recent Trump rally. Considering that Trump supporters were beaten and bloodied while his cops stood feet away and did nothing, with his stated approval, that is a truly astounding assertion. They used to say if you wanted to see the future of the country, look to California. Third world banana republic here we come. Amazing that the Paterson, New Jersey City Council didn’t learn anything from the catastrophic 9/11 terrorist attacks. All of the details are on FAIR’s website, but some of the hijackers had VISA overstays and were in the country illegally and were able to easily get hold of ID’s that helped them carry out the attacks. There is no excuse for reality not to have registered in the brains of the members of the Paterson, New Jersey City Council. But what can you do with people this oblivious to reality. Yet another state jurisdiction that has abandoned the rule of law, and catered to illegal alien parasites and their despicable ilk.